Had an absolutely amazing time working on this project with one of my favorite clients, Publix! 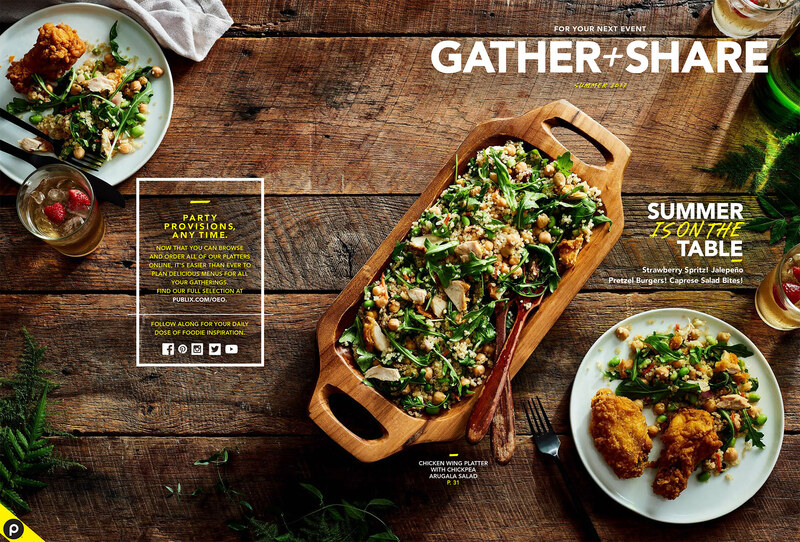 This was the re-brand for their in-store magazine, Gather & Share, which focuses on events and parties and how Publix can help you pull it off with amazing food. We had a great time with a top-notch crew and I couldn’t be more proud of the final product – pick one up for free at your local publix now! !